Hannah out for a training session in Praz de Lys, France. 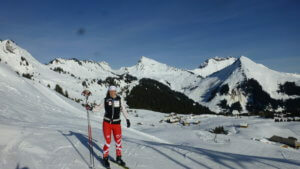 Goms, Switzerland was Hannah’s 2nd race of the competition. “I had a great first half. I could hear the traditional Swiss cowbells cheering me on as I raced! Although I lost my focus in the second half, I was still satisfied with my race”. Hannah ended up 45th out of 83 competitors, the second Canadian women behind Natalie Hynes from Whitehorse who was 36th. The third race of the competition was the 10 km Skiathlon, where you had to ski the first 5 km Classic and then switch skis and poles in a transition area and skate the last 5 km. This was Hannah’s first mass start race at World Juniors. The competition was fierce with 65 competitors starting all at once. “I focused on staying calm and clean in the start. I wanted to pace the beginning so I could push in the last lap.” The course was very challenging, looping back into the stadium four times and doing the two very long sprint course hills each loop. “For me it was a success! I didn’t fall or break a pole and I even had to dodge a fall in front of me. 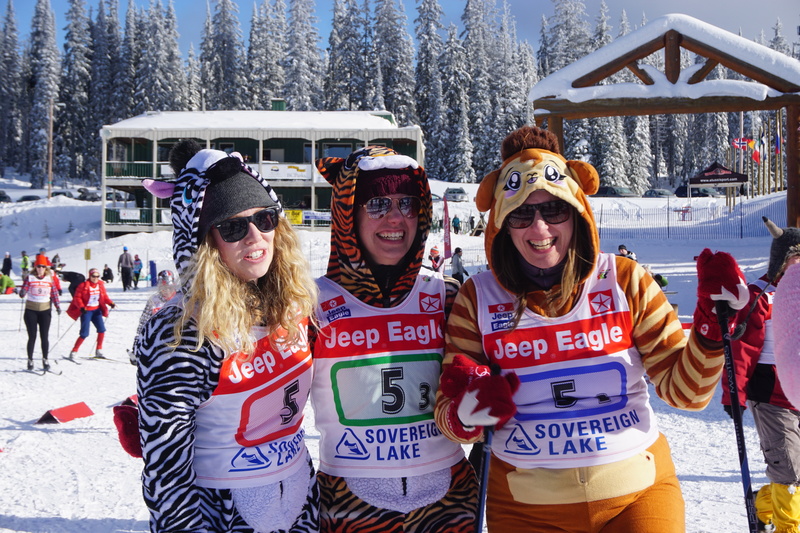 My skis were fast and my pacing was good.” Hannah ended up 37th, the second Canadian Junior behind Natalie Hynes who was 24th. 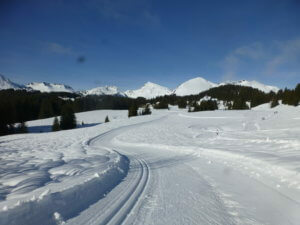 The last race was the Relays where each team member skied 3.3 km. Hannah was the first to go for the classic leg on the Canadian Junior Women’s team of four, followed by Natalie Hynes of Whitehorse (classic), Annika Richardson of Thunder Bay (skate), and Alexandra Racine of Mont Orford, Que. (skate). “I raced my heart out in the relay today. I had an excellent start and was able to get into 4th position by the end of the first long climb. I maintained 6th position until about 3/4 into the race where I could feel the lactate building up. I struggled to keep going as fast as I could up the long second last climb. We were in tenth spot when I tagged Natalie.” The rest of the team gave a solid effort and we finished 14th. Hannah has many people to thank. First of all, thanks to Cross Country BC, Cross Country Canada Women’s Committee and Jess4Kids. She would also like to thank her sponsors Fischer, Swix, Julbo, Nordic Ski Grinds and Stussi Sports. Lastly, thanks to all those who have helped her get to where she is including her parents, her first Sovereign coach Darren Derochie and her present coach Adam Elliot.